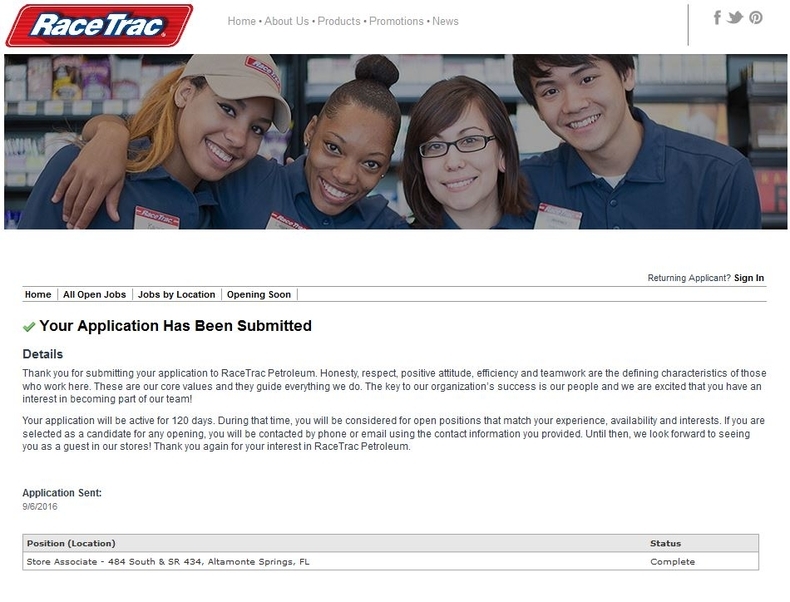 Visit RaceTrac careers page at racetrac.com/careers or racetrac/careers and choose a careers area for you. There are three areas including home office, in store and internships. 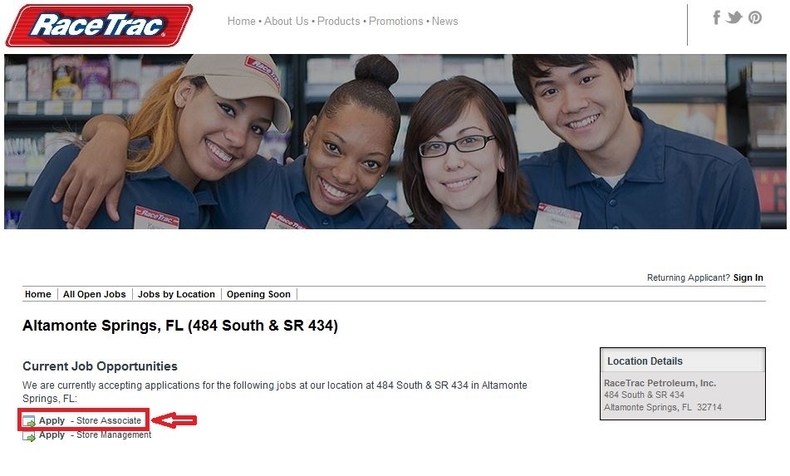 Here we choose "IN STORE" and click to find positions in this area. Select state, city and enter zip code to find the current job openings. By clicking "IN STORE" in the previous step, you will be entered into a page where you can view more about the brand and careers in this area. You need to click "Explore Opportunities" blow down the page and direct to the page shown blow where you can select state, city and enter zip code to find job opportunities for you. 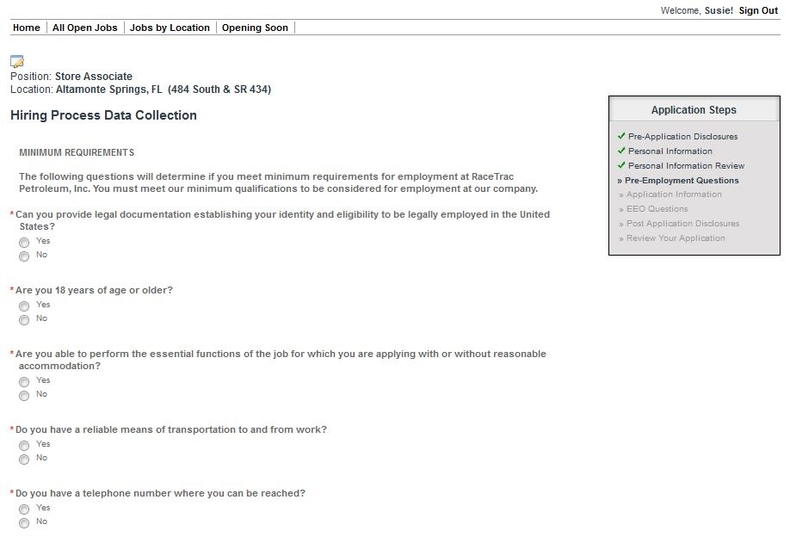 Here we select the state Florida and start to search locations and jobs to apply. Browse the current job openings list and select the position you are most interested in. 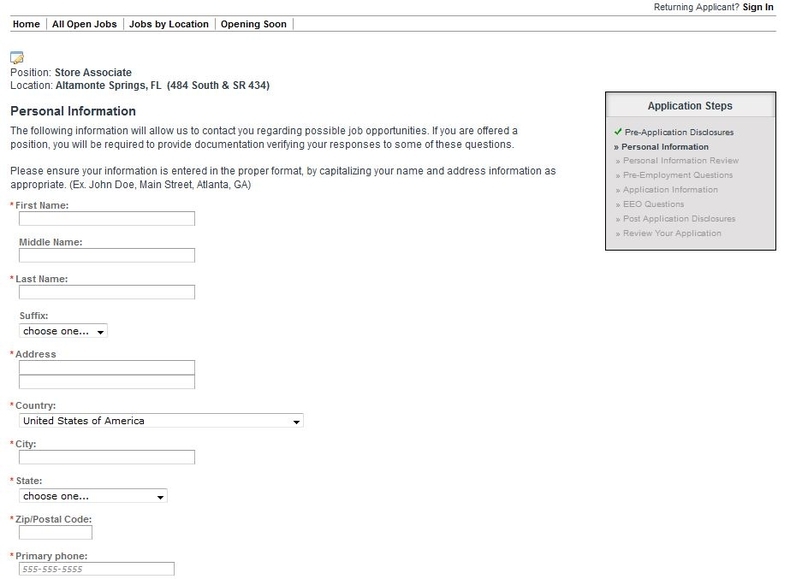 After you select the state Florida, you will be entered into a page where you can see the locations list in this state. 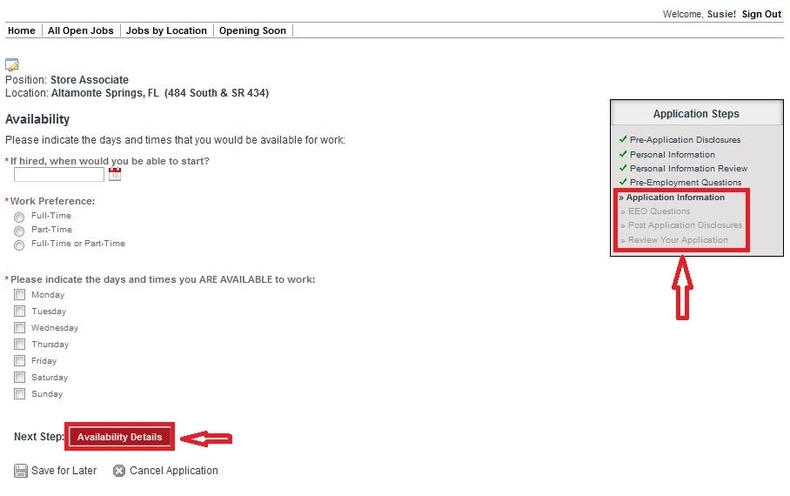 You can choose the nearest location for you and click the find job openings in this location. To set you an example, here we choose the first location on the list and direct to the page displayed below on which you can browse the available positions in this location. You can click the job title to view the details of each position and then select the one that best fits you to apply by clicking the button "Apply Now" in the job details page or "Apply" at the left of the job title on the page shown below. 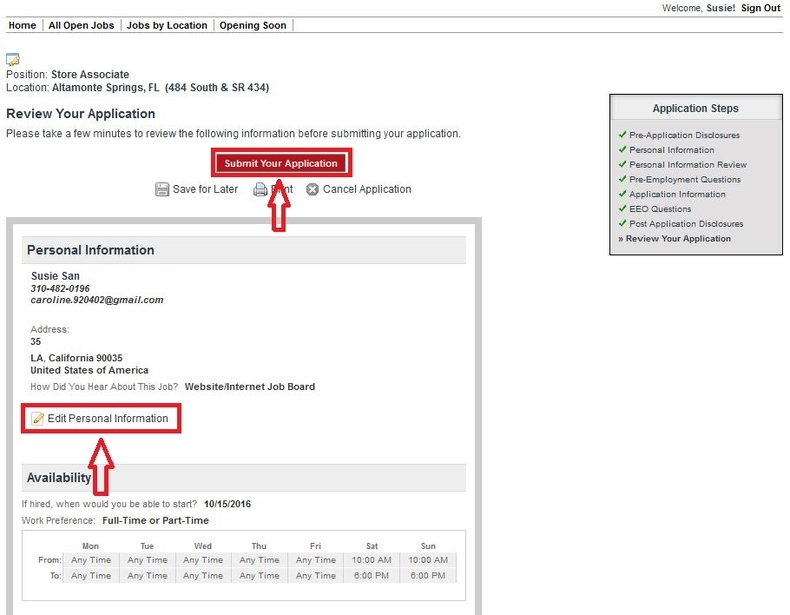 Here we choose the first position and just click "Apply" to start job application. Fill out your personal information like name, address, phone number etc. and create an account after you read the Pre-Application Disclosures. Please notice that the fields marked with asterisk are required. After you finish all the required fields, just click the button at the bottom of the page to review your personal information. This step is to answer some pre-employment questions before which you need to give consent to receive and respond to information in electric form as well as understand and agree with the authorization. You need to finish all the required fields and then click the Next button at the bottom of the page to continue. Follow instructions to finish the rest steps like providing application information regarding your availability details, resume, work history, education, completing a questionnaire, answering EEO questions and reading the post application disclosures. When you finish the required fields on each page, just click the button at the bottom of the page to proceed. The final step is to review and submit your application. You can click the Edit icon or link in each part to modify the corresponding information. Once you are sure that all the information you provided is okay, just click the button at the top or bottom of the page to submit your application. After you submit your application, you will be led to a page where you can see the notification which indicates that your application has been submitted. This means your application process has been finished. 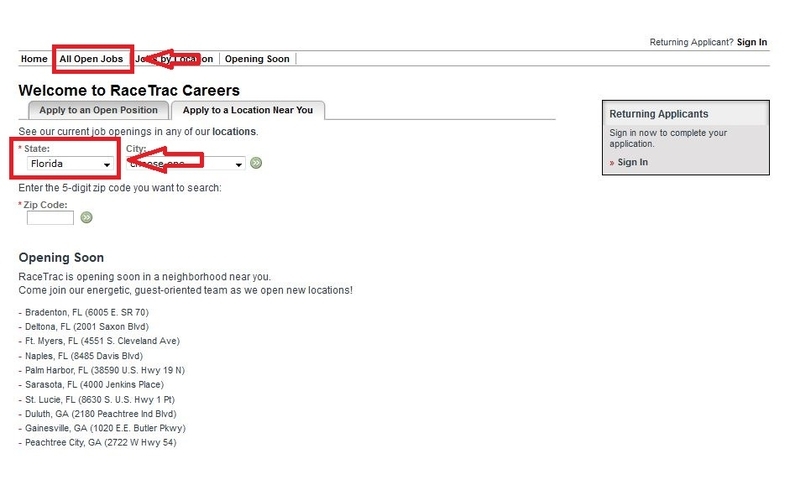 Click racetrac.com/careers to apply for RaceTrac jobs online.